MAYS LANDING – A Hammonton man employed as Hammonton High School’s marching band director was sentenced this morning to 5 years in prison for the sexual assault of a 16 year-old student, Atlantic County Prosecutor Jim McClain announced. Jason Koenig, 27, of the 600 block of Wilbur Avenue, Hammonton, was sentenced this morning by Atlantic County Superior Court Judge Michael A. Donio, for Koenig’s December 2014 guilty plea to Sexual Assault and Official Misconduct—both 2nd degree crimes. On May 1, 2014, after a week-long investigation by the Atlantic County Prosecutor’s Office Special Victims Unit and the Town of Hammonton Police Department, a warrant was issued for Koenig’s arrest, on charges of Official Misconduct, Sexual Assault, Criminal Sexual Contact, and Endangering the Welfare of Children. 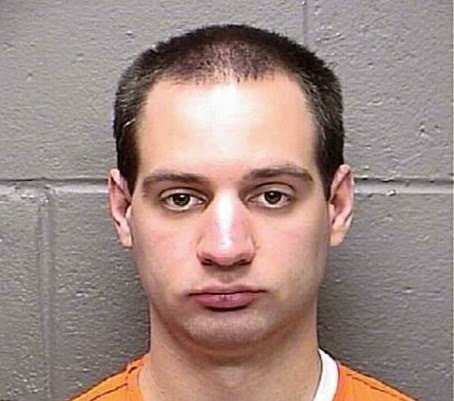 The State alleges that, while employed by Hammonton High School as an Aide and Marching Band Director, Koenig committed these crimes against a 16 year-old Hammonton High School student in November and December of 2013, while he had supervisory or disciplinary power over the victim by virtue of his occupational status. On May 5, 2014, Koenig surrendered himself at the Atlantic County Prosecutor’s Office, where he was placed in custody, arraigned in Superior Court, and lodged in the Atlantic County Justice Facility on $200,000 cash or bond bail, no 10%. Additional conditions of bail included the surrender of his passport, the order to remain within the State of New Jersey and to have no contact with the victim or the victim’s family, and to submit to a GPS monitoring bracelet. Koenig eventually posted bail, and was released on the GPS monitoring bracelet, pending court. On December 16, 2014, Koenig waived his right to a grand jury, and pled guilty to the accusations of Sexual Assault and Official Misconduct. Today, Judge Donio sentenced Koenig to 5 years of incarceration in New Jersey State Prison for the crime of Sexual Assault, and 5 years of imprisonment for the crime of Official Misconduct—the sentences to run concurrently. Koenig must serve 2 years in prison before becoming eligible for parole. Judge Donio further ordered that Koenig forfeit all current and future public employment, submit to Megan’s Law registration, be subject to parole supervision for life, and provide a DNA sample to the State. Atlantic County Prosecutor’s Office Special Victims Unit Detective Danielle Rosiello and Hammonton Police Detective Peter Hagerty were lead investigators on the case. First Assistant Prosecutor Diane Ruberton represented the State in the matter.